Adding a game to the error page that you see when there is no internet, was a brilliant move. Now, the Chrome team is back with an interesting addition to the same error page, recommended articles. And yes, they will be downloaded and available offline, because you will see those recommendations when there is no internet. This feature is currently available in the Canary version of Chrome for Android. I do not see this flag in Chrome Canary on the Mac or Pixelbook. So, this could be a mobile only feature. The flag has two additional options other than the usual Enable / Disable switches. This is my favorite. This shows recommended articles along with a thumbnail. 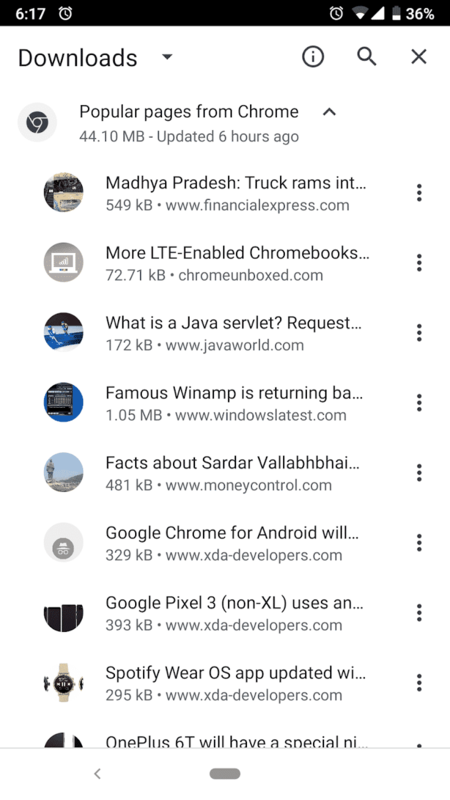 This mode shows something like an invitation to view the list of downloaded articles. I like the idea of seeing content recommendations in Chrome. The only thing I have a problem with is this. 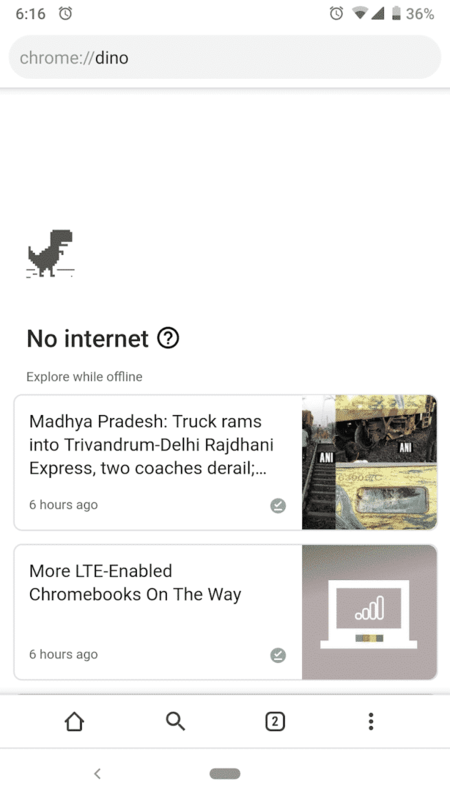 Google recommends articles on my launcher, on Chrome’s new tab page, and now on the offline error page. They do not seem to be coming from the same source. It will be nice if Google can make this from a single source, with options to manage topics. Can you do that Google? Maybe after you solve the multiple-chat-apps problem? So, what do you think? 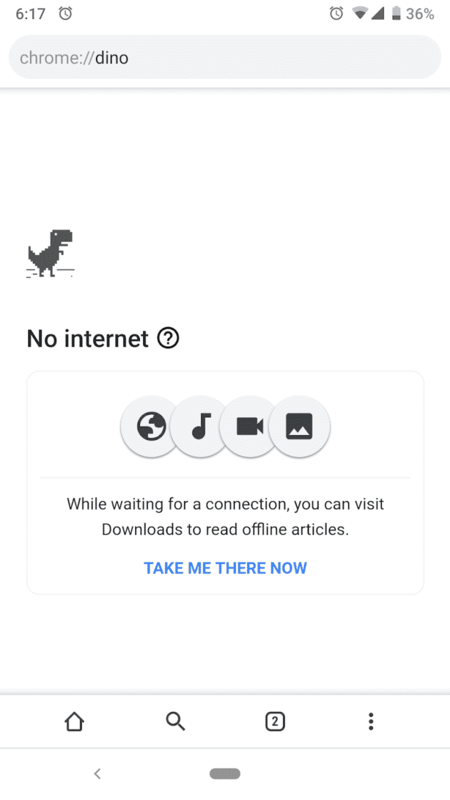 Do you like the idea of getting articles to read when you are offline, or will you just play the dino game?